Best Como Real Estate (Best Como Immobiliare) is a local property expert and Italian Real Estate agency, specializing in Lake Como properties. Lake Como is located not far from Milan in the North of Italy. The small, picturesque pastel-colored villages of Lake Como attract buyers and investors from all over the world. and its optimal location, less than one hour from Malpensa airport. Tremezzina, Tremezzo, Piazza Filzi, on the western shore of Lake Como, in front of the beautiful peninsula of Bellagio, and close to the prestigious Grand Hotel Tremezzo. Como, old walled city, Via Rusconi, few steps from Duomo. and are perfectly located to help you both during and after your purchase. 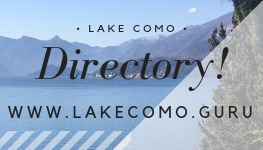 We are covering the following areas of the Lake Como real estate market: Menaggio, Griante, Tremezzina (Tremezzo, Mezzegra, Lenno and Ossuccio), Sala Comacina, Colonno, Argegno, Brienno, Laglio, Carate Urio, Moltrasio, Cernobbio, city of Como, Bellagio and surroundings, Varenna and surroundings, and some places in the 'Alto Lario' northern part of the lake. On our site, you can also see the listings which we collate directly from private owners and construction companies. There are no multiple-listing services in the Como area, so we are providing a personalized searching tool for potential buyers. Lake Сomo is the pinnacle of Italy's luxury real estate market. Check out our luxury property section where we put the most exclusive villas and estates, and contact us should you have any questions or requests, as we may have some private 'pocket listings' available. Download our Guide to buying property on Lake Como - “What type of property is available and at what cost”. Visit our section for sellers where you can find the steps from property valuation to the maximum exposure in order to help you to sell your home with Best Como Immobiliare. Waiting for you on Lake Como! Choose the right second-home market to invest in!